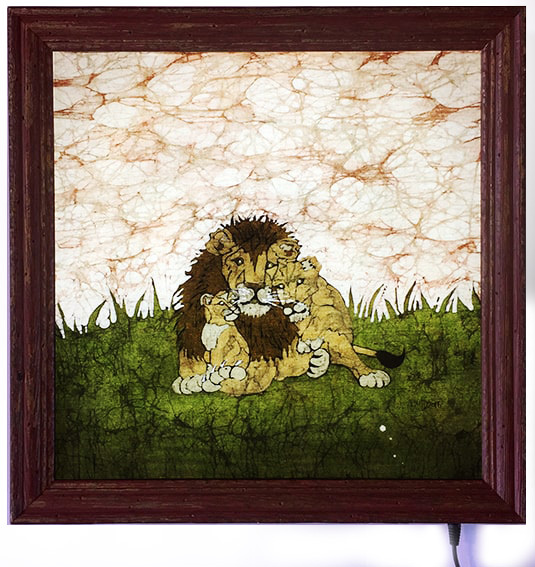 In 2016 I was commissioned to make a lampshade of lions, lionesses and their cubs. This was a large and complicated piece and the first, in what was to become my 'wild animals' series. 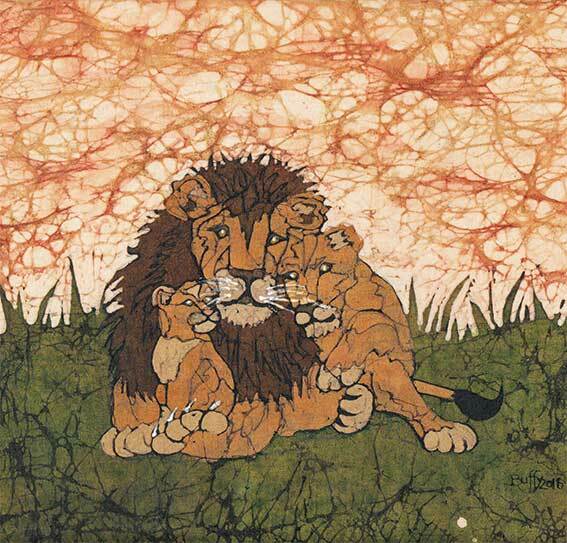 This small study of a lion and his family, was done from the drawing of one of the panels on the lampshade. Before starting a large piece of work, I always like to work on a small study in order to get the colours - and more importantly - the order of the colours right. This lions design is one of my 'wild animals' series which includes elephants, tigers and zebras.